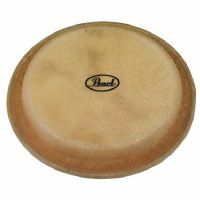 Rawhide bongo heads tend to have a warm, deep tone with a lot of nuance layered into the sound. 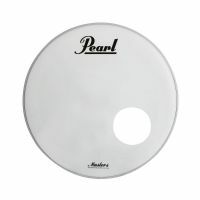 Real skin heads offer a more authentic look and tone than synthetic materials offer. 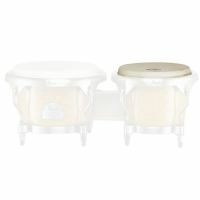 The Pearl 6" Head for Fiberglass Primero Bongos will fit on the following bongo models: Pearl Primero (PFB100, PWB-67). 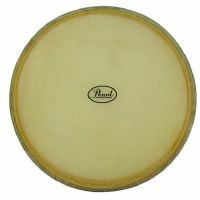 Premium Buffalo head for Primero fiberglass bongos. 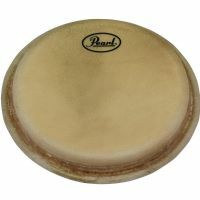 Pearl EZ tune djembe heads are fashioned from goat skin heads. 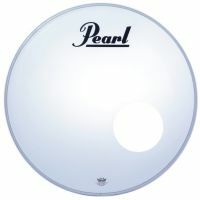 Gives the wood or fiberglass djembes a natural hand-strike sound and resonance.